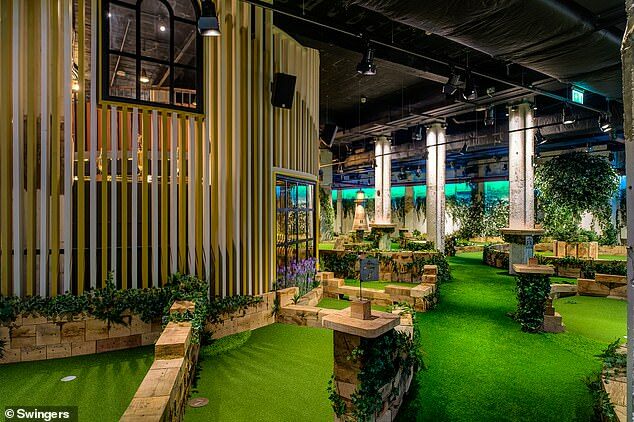 A new business which mixes extravagant indoor crazy golf courses with cocktail bars and street food is expanding across the country, into prime high street locations left vacant in the wake of recent retail bankruptcies. 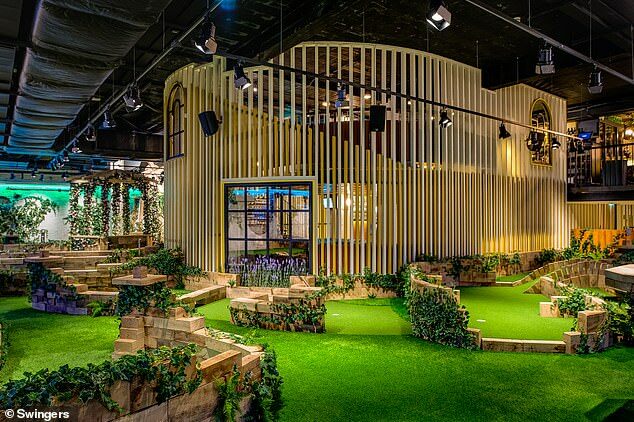 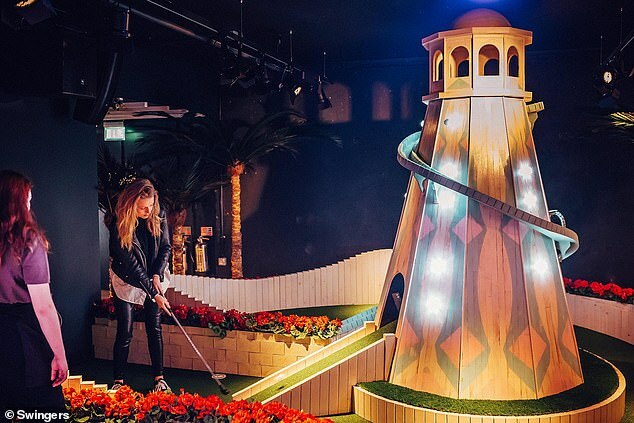 ‘Swingers’, on the first floor of what used to be BHS on Oxford Street, has two landscaped minigolf courses which include one hole with an illuminated helter-skelter windmill and another with a wooden loop-the-loop. 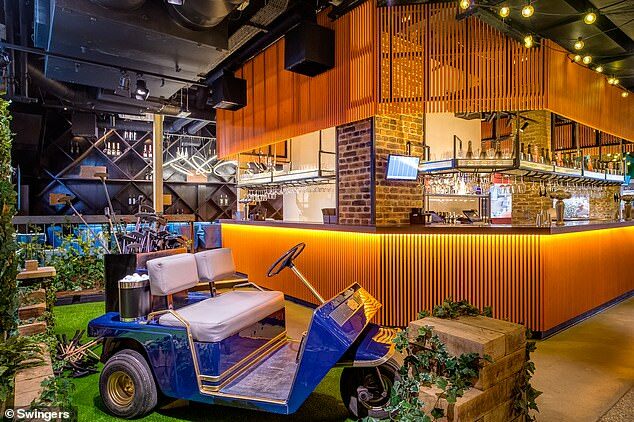 But the venue – and its sister location just off Bury Street in the City of London – also boasts multiple cocktail bars, food stalls from what it says are London’s best street-food vendors, and a 3D photo podium for customers to capture their day out. 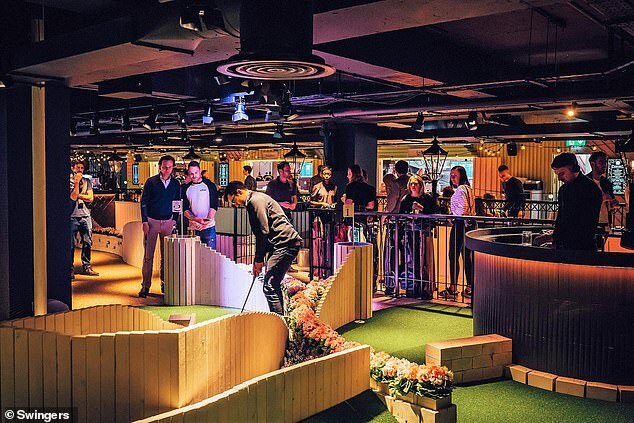 Now following a ‘significant investment’ from private investment firm Cain International, its owners The Institute Of Competitive Socialising have said they plan to expand across the UK and the USA. 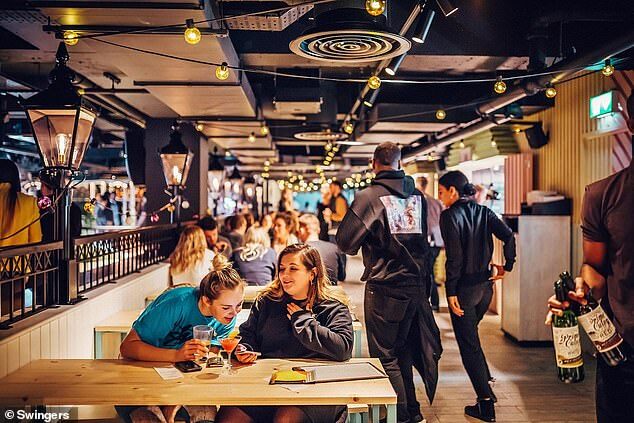 The latest capital injection, of an undisclosed amount, follows the £3.5m the company got from Santander in March of this year. 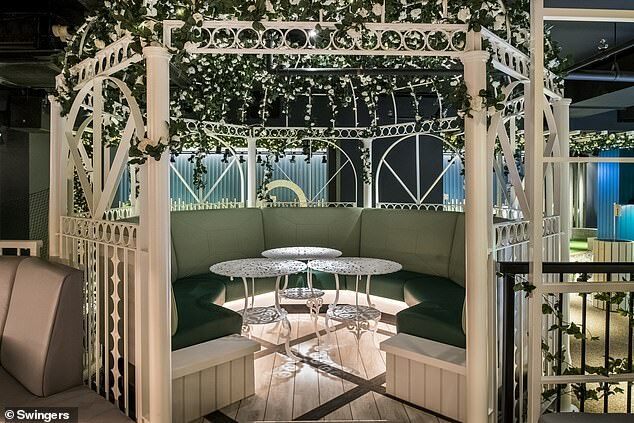 At the time Matt Grech-Smith, co-founder and managing director of The Institute of Competitive Socialising, said: ‘We are delighted to have received funding from Santander to open Swingers West End. 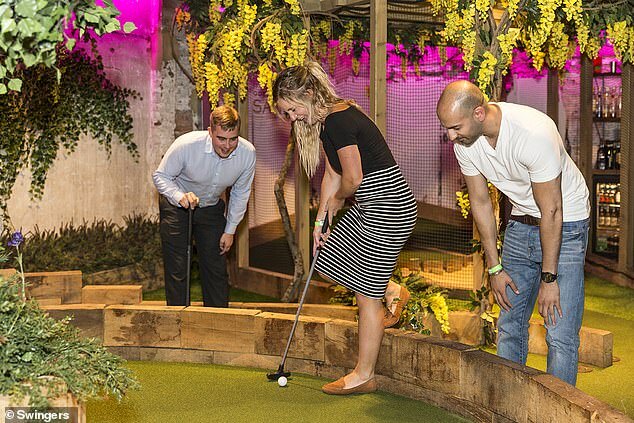 ‘At the Institute of Competitive Socialising, we are constantly striving to create the most enjoyable day or night out that you can have under one roof. 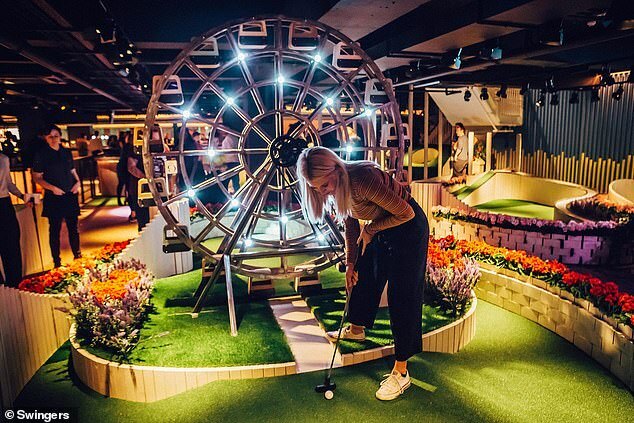 With Swingers West End I think we’ve come one step closer: our location, immersive décor, street food, drinks, crazy golf and service all combine to make an unrivalled level of fun,’ City AM reported. 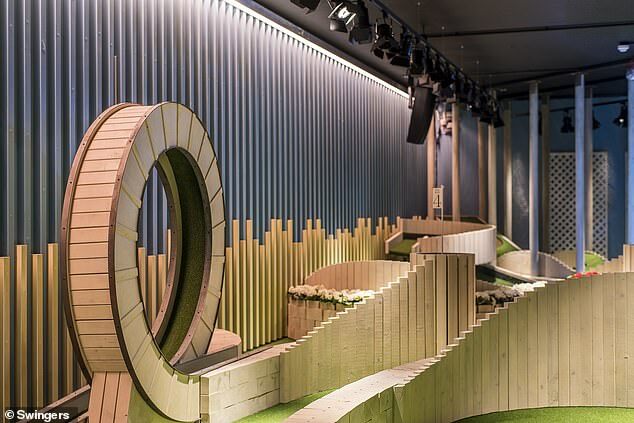 The West End branch on Oxford Street is considered the company’s flagship store – even more so than their venues in the City and in Manhattan. 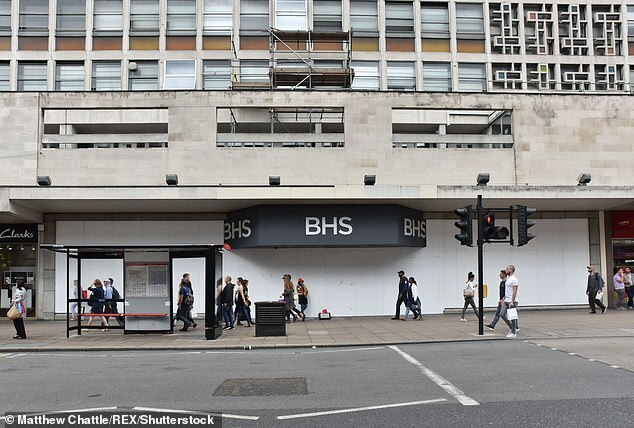 It opened in a space previously occupied by department store BHS, which went bankrupt in 2016.
Business analysist have said the new concept, which appeals to a generation hungry for ‘experiences’ rather than traditional gifts and goods, is a good fit for the large units in prime locations left empty by dying department stores on both sides of the Atlantic. 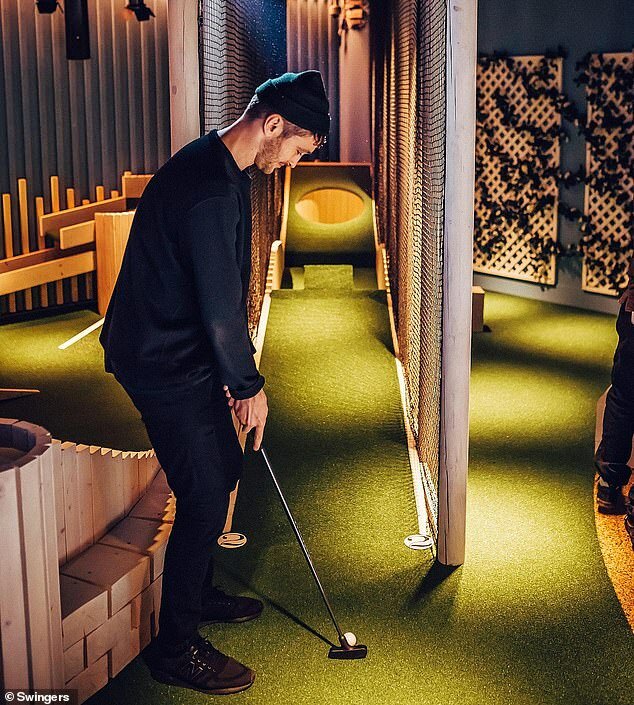 The business’s marketing message is ‘life is better when it includes an element of competition – and that competition is best enjoyed with friends’.